ROGUE CHRISTIANITY - Faith off the Grid: Has Religion Run Its Course? Has Religion Run Its Course? Have organized religions simply run their course? We're not stuck with them, you know, just because they've been around for thousands of years, employ masses of people, convene community, exercise formidable political clout, declare dominion over science, control valuable real estate, and claim their sacred texts to be direct from God. As a person of faith who is not religious, I do honor religions for offering us ways to come together in recognition that God is, and I fully acknowledge the good work these institutions do. 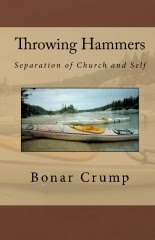 But organized religions also generate a sense of arrogant entitlement and false righteousness in followers that, in God's name, excuses discord and violence - as well as making followers vulnerable to political, social and sexual exploitation by the diverse likes of Glenn Beck, Pope Benedict XVI, and Osama bin Laden.